It was only after I scheduled the article by Philip Kingsley about The 12 Most Common Reasons For Hair Loss that his office told me about his fantastic new product for this very thing! What perfect timing! The product is brand new, having only been launched in June this year but has been seven years in the making. I use many of Philips’ products myself and they are top quality, effective products, worth every penny (sadly this kind of quality doesn’t come cheap). 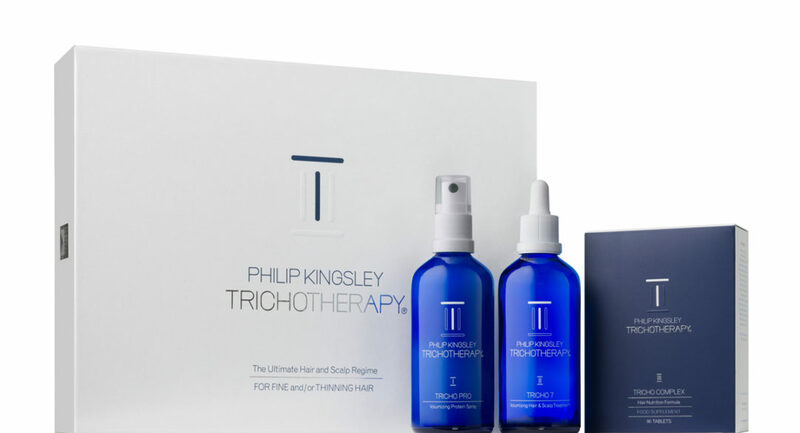 I know Philip personally and he is absolutely passionate about tackling the most difficult hair problems both through treatments in his clinics and with his products. It is therefore well worth taking note when he develops a product for the very demoralising and upsetting problem of hair thinning and hair loss in women. Philip has been called the “Hair Guru” by the New York Times, the “Hair Wizard” by Vogue and the “Hair Doctor” by The Sunday Times. He famously coined the phrase “bad hair day”. During his sixty years of experience running his clinics in New York and London he and his team found that over 80% of his female patients suffered some degree of hair loss. Hence his determination to develop a product that would effectively help this demoralising problem. However, as stated in his article on here about hair loss, Philip would be the first to say how important lifestyle is and improvements should be made alongside the product. Yup, isn’t funny how most things come back to lifestyle, exercise and nutrition? That’s why I put so much emphasis on it on this site. If you want to look good, you need to be healthy and there is simply no way round it. Adds volume and fullness while detangling, moisturising and adding shine to the hair. Quinoa protein forms a protective barrier over the hair shaft, trapping in moisture to repair damage and add strength. Green tea gives an anti-oxidant boost. Hydrolysed elastin adds elasticity reducing hair breakage. This formula has been 7 years in the making and is a unique combination of ingredients such as B6, zinc sulphate and azelaic acid which inhibit 5a reductase activity of converting testosterone into the more damaging DHT. Other ingredients reduce hair flaking as this has been shown to cause more hair fall. This supplement combines all the vitamins needed to prevent thinning hair. Deficiencies of any of these can cause problems. They include essential amino acid L-lysine, biotin, zinc, methionine, iron, vitamins D3, C & B12. One kit of Trichotherapy provides a 6 week supply. Results should be seen in 6-12 weeks. However when I spoke to the marketing director, she told me that when they did tests on people (with a very high percentage of success), the results after 12 weeks were far greater than after 6 weeks. Obviously if you continue usage long term results will keep improving. It’s also fine to use on colour treated hair. On the Philip Kingsley website the price is already on a special offer of £95 (down from £120) but I have negotiated a further 15% discount for my subscribers. Just add the discount code PK15. This offer will be good til the end of August 2014. Perfect timing indeed! Just when I need a product like this and if I’m not one of your three lucky ladies, that 15% discount could quite easily tempt me. I love the ‘all angles’ hollistic approach to Trichotherapy. I was offered a similar type of product by Kerastase by my hairdresser today (inspired by 10 years of stem cell research) but without the supplement element. The glossy leaflet told me what it could do for my hair but not ‘how’ it could do it which didn’t impel me to buy. My close friend has just shaved off her head as she’s undergoing chemo treatment. 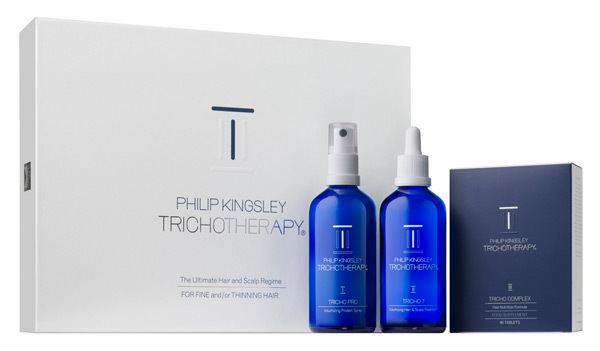 Thanks to you mentioning Philip Kingsley I googled his article about hair loss caused by chemo and how to stimulate hair growth afterwards. I’ll translate it for her. Thank u!